The mobile gaming has taken over the larger gaming devices, majorly because of the advantage of being available on-the-go. It’s pretty obvious, as one cannot carry the gaming PC or console all around, just like they can do with the smartphones and tablet devices. And with the thousands of gaming apps available for the different mobile phone OS being available, there is never a scarce of entertainment for the handheld device users. The mobile phone gaming apps that are available for the iOS and Android OS have been topping the lists of the most downloaded apps in any category, and interestingly, many of the apps are the same for both the operating systems, for example, the Temple Run and Subway Surfers games which have been the most favorite gaming apps for both the iPhone / iPad and the Android users. Temple Run 2 – This game, fully loaded with amazing graphics when the version 2 was released, has been topping the tables in both the Apple iTunes store, as well as the Android Play Store game section. The game is available for free, and there are in-app purchases available if the user gamer to enjoy some extra features and powers to tackle the demon easily. With more than 500,000 users rating the game in the Android Play Store, one can easily understand how popular the game is. Subway Surfers – Although Temple Run 2 is on the top of the charts, the Editors Choice in the gaming marketplace is this Subway Surfers game which suits many age groups, and it is one of the most addictive games. With the social integration possible, one would be happy chasing the highest scores set up by friends, and keep running and making it count. 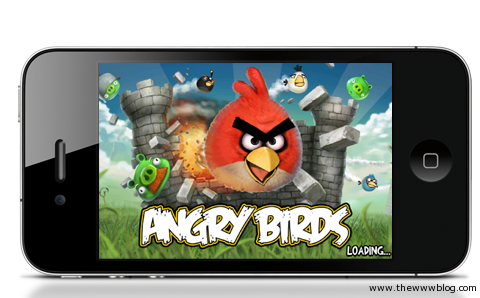 This is a universal game available for the Android phones, tablets, iPhone and the iPad in different versions, having graphics optimized for the HD screens too. Angry Birds – This game holds the popularity in its own way, and has got the highest different versions as the makers of the game, Rovio Mobile Ltd., has been coming up with the several newer versions as different apps, and each of them entering the top charts easily. Angry Birds Rio, Angry Birds Space and the different HD versions of these, everything is quite addictive. Zynga Poker – Now comes the games for the matured. Of course this is for the matured, as there’s money involved although not the real one. You bet here, you bluff here and you win here. This is one of the addictive games where a gamer would easily spend hours and hours without even noticing. And Zynga being one of the biggest gaming makers, having several Facebook based games too, have made the game at its best quality. Now, let’s see a few Paid games which are on the top and worth the price. Asphalt 7: Heat – When you pay for it, you get the best of it. Asphalt 7 is one of the best racing apps, with the ultimate graphics for any kind of screen of a smartphone or a tablet, and one of the good things about it is, although the size of the game is more than 1GB, the gaming doesn’t slow down the processor that easily. That is because of the well optimized graphics. You get to use more than 60 cars, drive in different locations and situations, and face challenges with the real world locally or online. This game is available for $1 on the Android Play Store. Fruit Ninja – Who doesn’t want to keep chopping whatever appears on the screen? Fruit Ninja is something that makes you do that with the different fruits flying around and you selectively have to slice them by swyping the finger on the screen. The free version had included just a few options, but once you take the paid app, there are different levels and the gameplay modes: Classic, Zen and the new Arcade, featuring powerups including Freeze, Frenzy and Double Score. There are several other free and paid apps which are the most favorite for millions of smartphone users, but we limited this to the best of the best, for someone who has held a smartphone for the first time and is looking out for the ones which he wouldn’t regret about after paying / downloading.